Dinosaurs love to celebrate birthdays. The prehistoric creatures know how to throw a party, too! 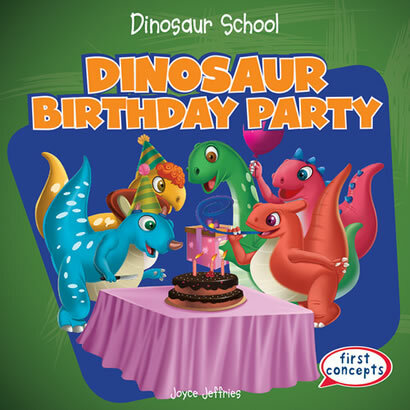 These fun dinos are getting ready for a big bash, and beginning readers ready to explore are invited to the party! With strong picture-text correlation, readers dive into both the setup and fun of a birthday party. Watching mom and dad dinos getting things ready and seeing friends arrive is a reading adventure readers will never forget, with colorful illustrations to help establish the early literacy skills and set a foundation for future reading success.